There were a few important reports on the U.S. economy released this morning. First, data from Challenger, Gray & Christmas showed that 36,602 corporate layoffs were announced in America last month. That is down 15 percent from March and 43 percent below the number of separations seen in April 2016. 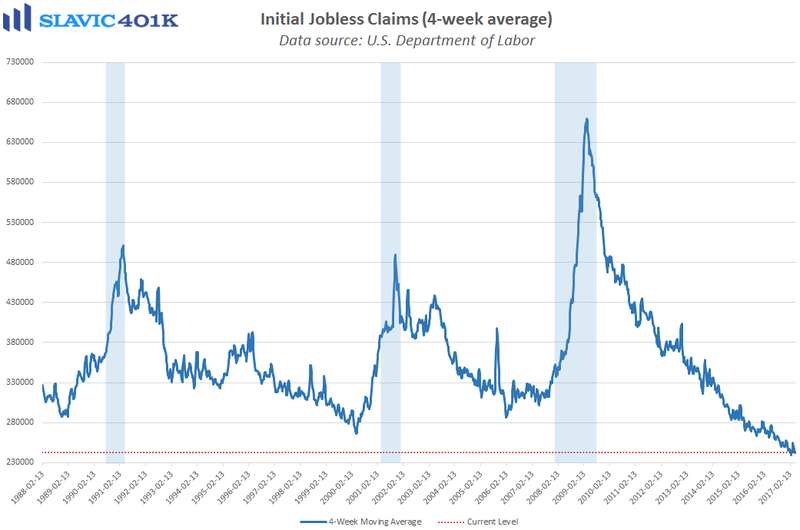 Further, 162,803 job cuts have been announced in the United States during the first four months of 2017, a decrease of 35 percent compared to this same period last year. 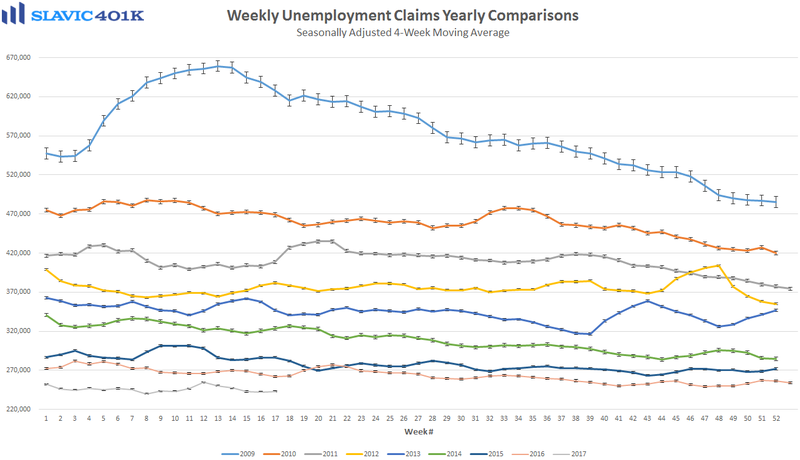 Much of the improvement has been due to the rebound in the price of oil, as evidenced by the 67,660 energy sector layoffs announced in the first four months of 2016 that fell to just 8,725 this year. 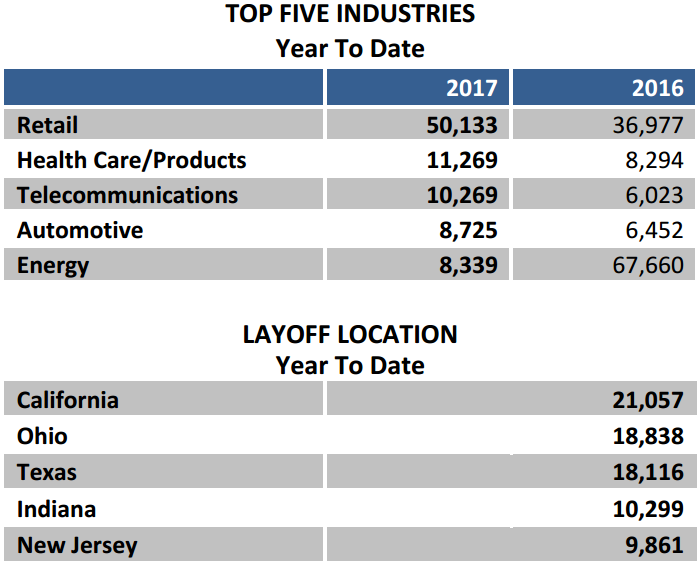 Job cuts are still occurring, though, and the retail sector is currently leading the way with 50,133 layoffs announced 2017-to-date, 36 percent higher compared to this same period last year. John A. Challenger, chief executive officer of Challenger, Gray & Christmas, added that “The economy seems to be in a holding pattern. 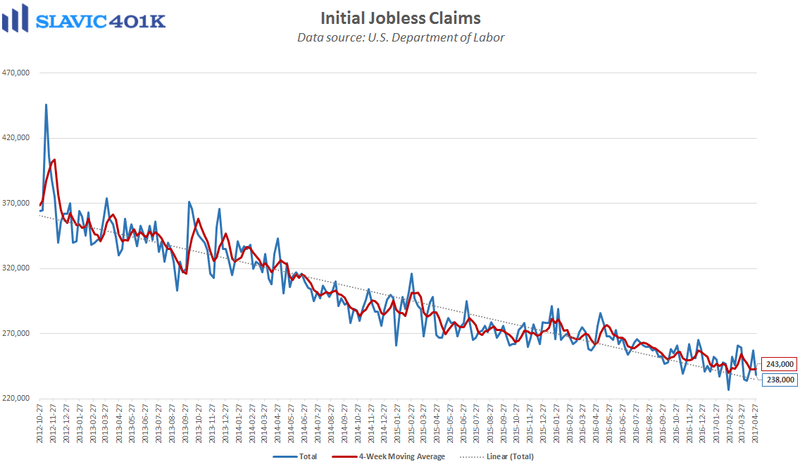 The government jobs report saw lower-than-expected job creation in March with 98,000 jobs added, and consumer spending has been sluggish in the first quarter. 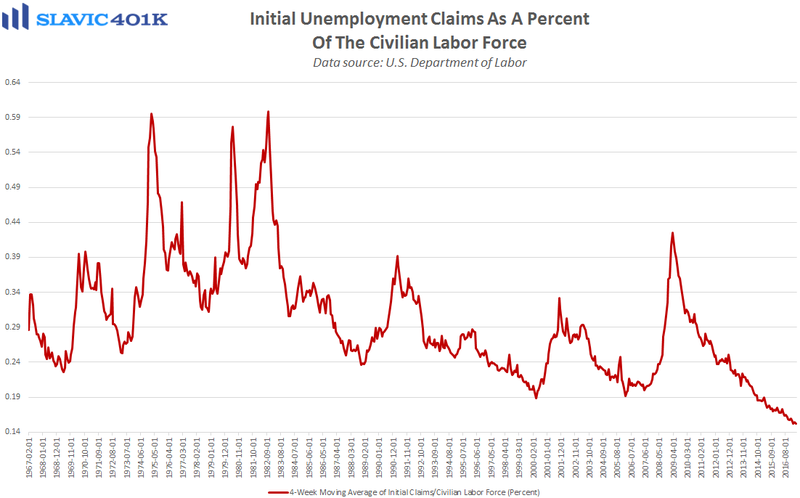 Companies may be waiting for the outcome of President Trump’s tax reform before making any major decisions.” Regardless, first-time claims for unemployment benefits, a broader measure of separations, continue to signal a healthy overall labor market where employers are reluctant to reduce staff amid a shortage of skilled and experienced workers. 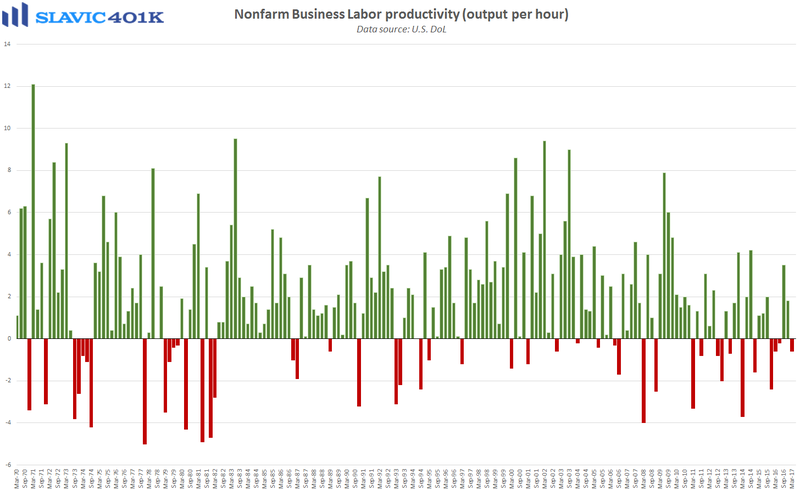 Elsewhere, a report from the Bureau of Labor Statistics (BLS) showed that nonfarm business sector labor productivity fell by 0.6 percent during the first quarter of 2017, as hours worked increased faster than output. That was the largest drop in headline productivity in a year and much worse than expected. Productivity growth in the fourth quarter of 2016 was revised higher to +1.8 percent but this is still a big slowdown from the 3.5 percent increase seen in Q3 2016. Moreover, productivity growth during the current business cycle has been notably weak compared to past expansions, which is discouraging because Federal Reserve Chair Janet Yellen described productivity growth as the “most important factor determining continued advances in living standards.” Muted business investment has been a major drag on productivity growth in recent years, as companies have relied more heavily on boosting staff sizes to meet increased customer demand rather than investing in technology and education to increase efficiency. On the bright side, last week’s disappointing report on Q1 gross domestic product (GDP) growth still showed that business investment in America is starting to improve. 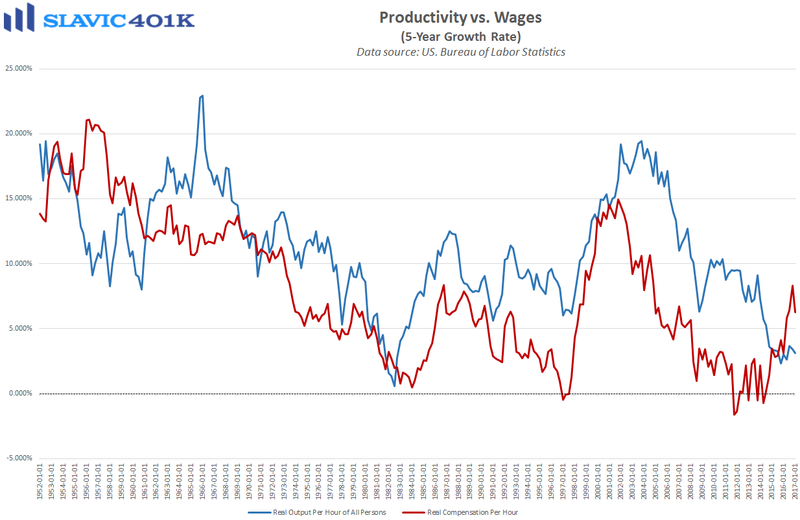 Add to that the pro-growth environment expected from the new administration and a real rebound in productivity may actually be possible.